This is written for the laymen to easily learn how language changes over time and how texts can be clearly dated based on the wording and language in which they are written. It is not meant to be scholarly. I have tried to explain to a few fundamentalists and less educated (who beleive fundamentalists) that it is clear when a text was written, not by someone telling you, but just by looking at the language. So to make this clear, I have shown how one would be able to date an English text by reading it to within a few hundred years very easily. It’s much easier to get this when you understand the words. Then I show the difference between a few periods of Sanskrit to help make this clear. 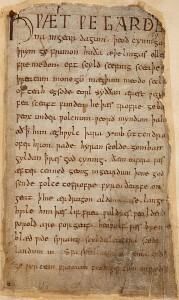 Old English of 1000AD is very similar to old Germanic languages as Britain was settled by Germanic tribes at that time. Old English is not recognizable to modern English speakers. It does not become recognizable to modern English readers till the 1400’s. In this same way, Vedic Sanskrit (before 500BCE) is clearly different to modern Sanskrit in the first millennium CE. Hwæt! wē Gār-Dena in ġeār-dagum, þēod-cyninga, þrym ġefrūnon, hū ðā æþelingas ellen fremedon. Translation: We have heard of majesty of the Spear-Danes, of those nation-kings in the days of yore, and how those noblemen promoted zeal. Cnut cyning gret his arcebiscopas and his leod-biscopas and Þurcyl eorl and ealle his eorlas and ealne his peodscype, twelfhynde and twyhynde, gehadode and læwede, on Englalande freondlice. Translation: Canute, king, greets his archbishops and his people’s-bishops and Thorkell, earl, and all his earls and all his people, greater (having 1200 shilling) and lesser (200 shilling), hooded (ordained to priesthood) and lay people, in England friendly. And it was don aftirward, and Jhesu made iorney by citees and castelis, prechinge and euangelysinge þe rewme of God, and twelue wiþ him; and summe wymmen þat weren heelid of wickide spiritis and syknessis, Marie, þat is clepid Mawdeleyn, of whom seuene deuelis wenten 3out, and Jone, þe wyf of Chuse, procuratour of Eroude, and Susanne, and manye oþere, whiche mynystriden to him of her riches.—Luke ch.8, v.1–3 Translation: And it came to pass afterward, that he went throughout every city and village, preaching and showing the glad tidings of the kingdom of God: and the twelve were with him, and certain women, which had been healed of evil spirits and infirmities, Mary called Magdalene, out of whom went seven devils, and Joanna the wife of Chuza Herod’s steward, and Susanna, and many others, which ministered unto him of their substance. I beseeche you therefore brethren by the mercifulness of God, that ye make youre bodyes a quicke sacrifise, holy and acceptable unto God which is youre reasonable servynge off God. And fassion note youre selves lyke unto this worlde. But be ye chaunged (in your shape) by the renuynge of youre wittes that ye may fele what thynge that good, that acceptable and perfaicte will of God is. Be not afeard. The isle is full of noises, Sounds, and sweet airs that give delight and hurt not. Sometimes a thousand twangling instruments will hum about mine ears, and sometime voices that, if I then had waked after long sleep, will make me sleep again. And then, in dreaming, the clouds methought would open and show riches ready to drop upon me, that when I wakedI cried to dream again. Translation: Don’t be scared. This island is full of noises, strange sounds and sweet melodies that make you feel good and don’t hurt anyone. Sometimes I hear a thousand twanging instruments hum at my ears, and sometimes voices that send me back to sleep even if I had just woken up—and then I dreamed of clouds opening up and dropping such riches on me that when I woke up, I cried because I wanted to dream again. One of the fathers, in great severity, called poesy vinum doemonum, because it filleth the imagination; and yet, it is but with the shadow of a lie. But it is not the lie that passeth through the mind, but the lie that sinketh in, and settleth in it, that doth the hurt; such as we spake of before. But, howsoever these things are thus in men’s depraved judgments, and affections, yet truth, which only doth judge itself, teacheth that the inquiry of truth, which is the love-making, or wooing of it, the knowledge of truth, which is the presence of it, and the belief of truth, which is the enjoying of it, is the sovereign good of human nature. Of Mans First Disobedience, and the Fruit Of that Forbidden Tree, whose mortal taste Brought Death into the World, and all our woe, With loss of Eden, till one greater Man Restore us, and regain the blissful Seat, Sing Heav’nly Muse, that on the secret top Of Oreb, or of Sinai, didst inspire That Shepherd, who first taught the chosen Seed, In the Beginning how the Heav’ns and Earth Rose out of Chaos: Or if Sion Hill Delight thee more, and Siloa’s Brook that flow’d Fast by the Oracle of God; I thence Invoke thy aid to my adventrous Song, That with no middle flight intends to soar Above th’ Aonian Mount, while it pursues Things unattempted yet in Prose or Rhime. And I think my own writing is clear enough to give us the English language of our present age. In this same way, Sanskrit evolves. There are two very distinct eras of Sanskrit: Vedic Sanskrit which was before 500BCE and Classical Sanskrit that was after it. Scholars categorize Vedic Sanskrit into a five-level linguistic development from the Rigveda to the language of the Upanisads. Then a large shift happened similar to English in the 1400’s with the invention of the printing press. First around 500BC Panini created a Grammar system superior to everything previous. Then in 300BC, India went from a primarily spoken and memorized passing of knowledge into written texts. The systematized grammar and change in writing format changed the nature of the literature and writing style. Vedic and Classical Sanskrit are similar but differ in phonology, vocabulary, grammar and syntax. Purāṇas: many were “written” between the 1st and 11th century AD (they contain knowledge from a much early time, but the time period they were written is clear by the language of the author. I use the term “redacted” to mean the time it was written, it doesn’t mean the time of creation, as the knowledge may have been present much longer and passed down orally, but it is clear when it was ‘redacted’. Bṛhat Parāśara Horā Śāstra is said to have been redacted around the 7th to 8th century. Some Advice: Be careful what you believe as a spiritual aspirant or as a scholar. Take all previous opinions with a grain of salt and know that opinions are being proven wrong all the time. 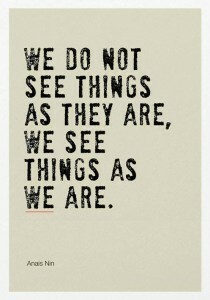 Don’t be so egotistical to believe that you happen to have and understand the highest path and everyone else is blind. Base the importance of a text on the knowledge it imparts, not its age, nor the authority of a robed old guy (that some people call holy) if their message is not in integrity with human values. Remember that you were a black woman in one of your past lives, you were an old Indian man once before, you were an islander on a far off island that no one has ever heard of. The same source manifests all forms of life and calls all forms back into itself. Utilize the path you have been called to walk. Keep an open mind and a humble stance.